Already read it and love it? Please encourage your community to choose this book as a "Community Reads" or "One Book" topic. These wonderful programs are a way to bring people together and participate in projects of interest to everyone. Check with your local library (or search your library's website) about how books are chosen to be Community Reads in your local area. If your library gives you a chance to vote for a specific book, please do so! 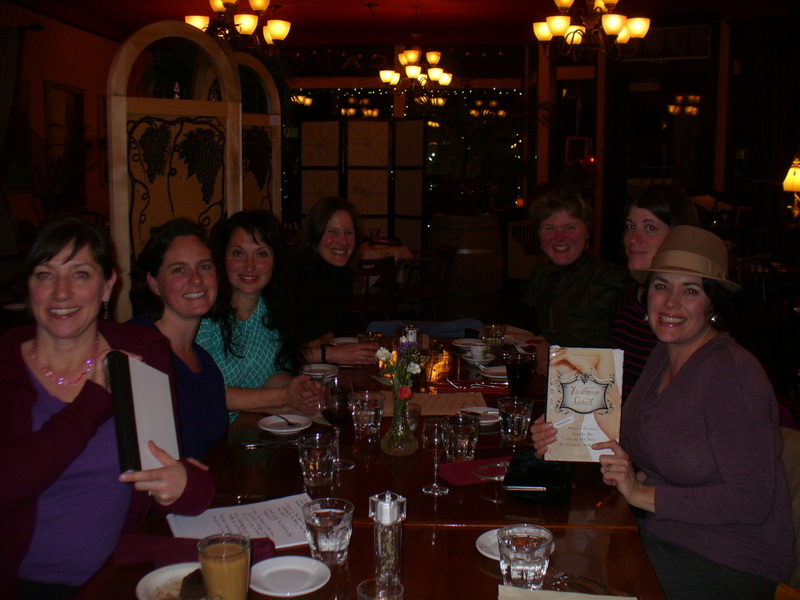 Book club gathering for "Victorian Secrets" February, 2014. Remember to check out Sarah's other website!